Kamran's pursuing a great idea in a market that does not have an electronic solution today. It's needed, it's efficient, it's easy, and it will be a success. Anything KamranV is behind, I support. Its that simple. I've known about this project for a long time and its an amazing solution. If you're in the entertainment industry or enjoy entertainment, don't ignore POP-AUT. I support it 100%!! POP-AUT is automatic, self-service payments for creative collaborations such as film, music, apps, games and art. POP-AUT is automatic, collaborator-validated payments for creative work such as film, music, games and art. POP-AUT comes from the experiences of its founder KamranV. Kamran simultaneously managed an internationally-touring band and honed his talent in New Media at Interscope Records as its head of production and business development. His work at Interscope was the beginnings of what is now social media; building tools and platforms allowing artist and fans to communicate directly. In this time, KamranV also served as producer for DVD-Audio (surround sound) releases of albums from Sting, Nine Inch Nails, and Beck. With no additional staff or funding, he started Interscope's mobile business in collaboration with Universal Music's eLabs. This project generated $12 million in its first year. In its second year, KamranV co-founded Universal Music Mobile U.S.A. as its head of Marketing. That year UMM posted $40 Million before his exit in 2006 to start the Spaceland Recordings live concert record label. Low cost of Collaboration - virtually eliminate accounting overhead, transactional fees, lawsuits and audits. Removing the Business from Creativity - once the projects/deals are set up, POP-AUT takes care of the back office on behalf of all parties equally. Creators stay focused on creation. With the rise of the creative class and its thirst for constant creation and sharing, the high overhead of every creator having their own royalty police doesn’t work. PRODUCTION costs have come down, making Apps, Film and Music less expensive to make. DISTRIBUTION costs have come down, allowing anyone to distribute products globally. MARKETING costs have come down, making finding customers easier and less expensive. However, the cost of PAYING EVERYONE involved in a work has gone UP. There are dozens of points of distribution and parties to pay in every creative project. Paying people costs money. CREATORS and necessary COLLABORATORS have not yet been able to make direct, transparent, inexpensive and timely payments to collaborators. Without this, the creative economy is broken. THE POP-AUT SOLUTIONPOP-AUT simplifies the entire payment process and solves this at any point in the payment food-chain, staying flexible to achieve broad adoption quickly. Self-Service: Creatives confirm relationships between themselves by simply using the POP-AUT MANAGER of Relationships (PAM-R). Transparent Accounting: open programming and meta data standards to tag and track media consumption and transactions available to all parties involved in a creative work. Direct Payments: royalties are paid quickly and directly. 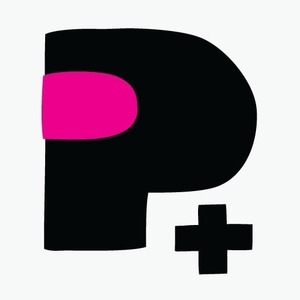 Anyone can have a POP-AUT account and be paid directly. Feels FREE: POP-AUT is has no upfront costs. POP-AUT doesn’t make money unless the creator does. Minimal fees with a cap. Lead by Example: to market our concept POP-AUT will produce/fund/partner on collaborative, low-cost projects such as concert films that make creatives money. Live our concept: By Artists for Artists. PROTOTYPE: POP-AUT completed the initial build of its software. This software lays the foundation of the POP-AUT Manager of Relationships (PAM-R). Select users may manually upload CSV files from services such as IODA as well as manual transactions with detailed reporting and relationship confirmations going to approved collaborators. 1.0 (March 2013): This release of POP-AUT layers PAMR on top of YouTube/Adsense payment, reporting and banking systems allowing clear, graphical distribution of reports and automatic payments to collaborators. GROWTH: More sales channels, more markets, automated tax forms, creative credit syndication and more. KamranV and his team are experienced in managing businesses, having earned perspective as a current executive-strategist and marketeer for multinational clients such as Gibson Guitar, SONOS, Case-Mate and Levis while continuing to create; recently as Co-Director and Producer of Nine Inch Nails’ final concert film, direct work in artist development via his studio Bedrock.LA as well as with College Battle of the Bands and the Grammys. POP-AUT is short for POP-AUTomatic. Similar to the phase pop ART, the words are meant to inspire creatives to collaborate easily and directly: this is POP-AUT. POP-AUT simplifies the entire payment process and solves this at any point in the payment food-chain, staying flexible to achieve broad adoption quickly. Automatic, collaborator-validated and built for creators, not as an enterprise solution. Can hardly wait to see this hit the streets and change the business of artists.